Your beach time playlist full of summer songs for all the great moments of summer! Well, it’s that time of year when you load up the car and head out of the city for beaches and lakes, time away to enjoy the beautiful weather brought to you by summer. 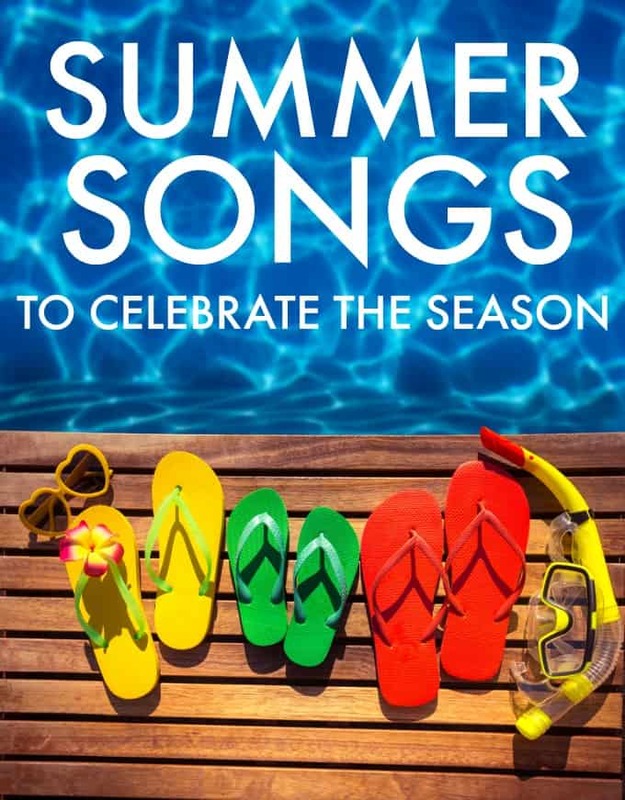 Compared to the three other seasons, nothing inspires tunes and lyrics like summer does, so if you’re compiling a playlist for your next trip or just while you sit by the dock, check out these options! Keeping it light and fun, with universal tunes that almost everyone has heard at one time or another, is the key! “Summertime Blues” by Eddie Cochran — this 1958 classic is a must have for your trip, to get rolling along. Even though this song is actually about the awful nature of unemployment, the tune is worth it! “Wipe Out” by the Surfaris — the opening lines of this tune are so well known that even your kids will bop along to this fun and upbeat tune. Ironically, the tune was bashed out to be the Side B of a single for the Surfaris. It has since turned into THE surf song of every season. “Summer of ‘69” by Bryan Adams — this 1985 pop staple is the second Canadian anthem. It’s a must have for your road trip list, particularly if you’re traveling in this country! “Walking on Sunshine” by Katrina and the Waves — okay, dancing in the car isn’t recommended but you just try and not bop your head or tap your hand on the steering wheel when this one comes on! To kick up a bored crowd, or hear them groan, how about: “Itsy Bitsy Teenie Weenie Yellow Polka Dot Bikini” by Bryan Hyland. The chorus is an easy to learn, highly repeatable earworm of a line that you’ll laugh about … eventually. And if you want to drive your kids nuts, play ‘Holiday Road’, the 1983 theme song for National Lampoon’s Vacation. Even if they haven’t seen the movie, they’ll know this tune. Written and recorded by Fleetwood Mac guitarist Lindsey Buckingham, this is an oldie but a goodie. “Summer Breeze” by Seals and Crofts — this song, from 1972, is all about the beach and the trippy, hazy days of the early 70s. “Hot Fun in the Summertime” by Sly and the Family Stone — play this 1969 hit when you want to wind down and feel the memories of summers past. “Sunny Afternoon” by the Kinks — what can I say? It’s the Kinks! While not their most famous, it’s ironic lyrics set against the tones of summer are a perfect addition to your list. “Good Vibrations” by the Beach Boys — because no summer playlist would be complete without the iconic boys of summer. Not to be confused with Marky Mark’s hip hop song with the same title but of fewer clothes… And while we’re talking about the Beach Boys, let’s not forget about “Surfing Safari” and the never to be forgotten “Surfin’ USA”! “Under the Boardwalk” by the Drifters — this song is the epitome of chill. But so was 1964, when it first came out, so that makes sense! “Here Comes the Sun” by the Beatles — you can’t go wrong with the fab four! Enough said. “Summer in the City” by the Lovin’ Spoonful — this 1966 classic is the kind of song you can imagine playing while you’re hanging out on the back deck of your home. “The Boys of Summer” by Don Henley — if this 1984 classic doesn’t take you back to high school, nothing will. “Cruel Summer” by Bananarama — Sure, this 1983 pop hit is meant to be about the sad side of summer, but it’s a great tune to have on in the background, while you sip a frosty drink in the foreground! “Surf City” by Jan & Dean — like the Beach Boys tunes, this one is a classic that most everyone will have heard at some point, but it’s got a good beat and hit #1 on the Billboard charts in 1963. “Heat Wave” by Martha and the Vandellas — this is Motown to the max but such a great tune when you want to kick it up a little without getting crazy! “Summertime” by Ella Fitzgerald and Louis Armstrong — the 1957 classic has that swaying melody that just envelopes you with the feeling of warmth of the season. “Summer Nights” by John Travolta, Olivia Newton-John / Grease — the wonderful thing about this 1978 crooning melody is that you can introduce the kids to the movie first, and set them up to loving this and other great songs from this classic musical. “Sun is Shining” by Bob Marley — though he croons about ‘dancing feet’, this 1971 is a song to play when the air is sweltering and you just feel like chilling. “Surfer Girl” by the Beach Boys — these guys knew how to capture summer. But it shouldn’t surprise us! Their MO is right in their name! This song is a little romantic, some would say a little cheesy, but iconic. And just in case you were thinking that we can’t seem to leave the 60s and 70s behind, how about a 2010 hit? Katy Perry featuring Snoop Dogg with “California Gurls” went to #1 on the charts by summer 2011! Want more? This Top 100 Summer Hits of all Time will show you what was popular through the years, during the lazy, hazy days of summer. Happy listening! You might also like 6 tips to enjoy the last days of summer and staying connected with summer fun.